The Bodhi Manda Zen Center is a Buddhist retreat center located in the Jemez mountains of New Mexico, near Albuquerque and Santa Fe. It offers a peaceful and compassionate environment ideal for workshops, seminars, and meditation intensives. While its orientation is chiefly Buddhist, the BMZC’s mission is to provide a setting that supports spiritual growth for all committed seekers. Since its incorporation on November 29, 1973 as a non-profit religious organization based on the firm foundation of Zen practice, The Bodhi has continually transformed itself, constantly adapting to the needs of its participants and responding to the demands of the environment. Thanks to countless people having contributed to its growth and development over the years, the Bodhi Manda Zen Center has a particularly rich history and now offers an exceptionally wide variety of educational and enriching opportunities. ‘Bodhi Manda’ is Sanskrit for “Place of Enlightenment." The sole purpose of the Bodhi Manda Zen Center (“The Bodhi”) is to promote universal well being, helping people to experience their true selfless and symbiotic nature through providing genuine teachings and training in Rinzai Zen Buddhist practices for the immense benefit of current and future generations. "If you forget yourself, you become the universe." 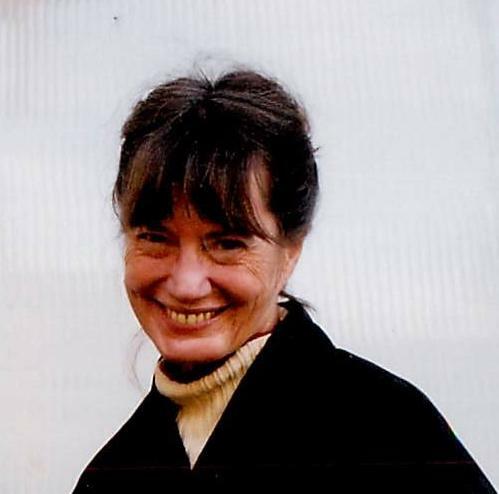 Michele E. Martin founded the Jemez Bodhi Mandala in 1973 as a place for Buddhist practice and teaching. Over the years, the spirit of her donation has grown into a quiet and reflective retreat location, meditation center, and teaching space. We are indebted to Michele’s vision, passion, and generosity, and for finding and helping acquire this site (and we look forward to her occasional visit). We will continue to grow and develop from Michele’s original intention. In the same year of its founding, the Bodhi Manda Zen Center invited Zen Master Kyozan Joshu Sasaki to offer his guidance in the Rinzai Zen Buddhist tradition. Joshu Sasaki Roshi had been in the West since 1962, when a group of people in Los Angeles asked Myoshin-ji, Japan’s largest Rinzai school, to send a teacher. Sasaki became the nexus of a Zen community that flourished as interest in Buddhism grew in North America. The increasing popularity of the practice crystallized in 1968, when the Rinzai-ji home temple was established in Los Angeles. It was followed by the creation of training centers and affiliated Zen temples in the United States, Canada and Europe. Joshu Sasaki Roshi retired from teaching in January 2012, and this lineage is carried forward today by authorized Zen teachers (oshos), monks, nuns, and numerous lay practitioners. Sasaki passed away July 27, 2014.